Iraq’s radical Shia cleric Moqtada Sadr has announced he is retiring from political life, in a handwritten note posted on his website. The statement said he would not hold future government positions or have any representatives in parliament. 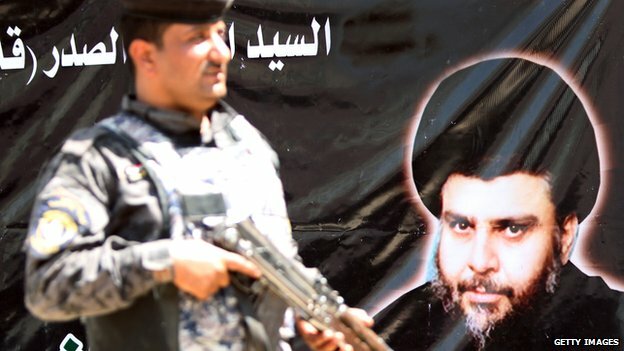 Mr Sadr and his militia group, the Mehdi Army, gained prominence after the US-led invasion of Iraq in 2003. 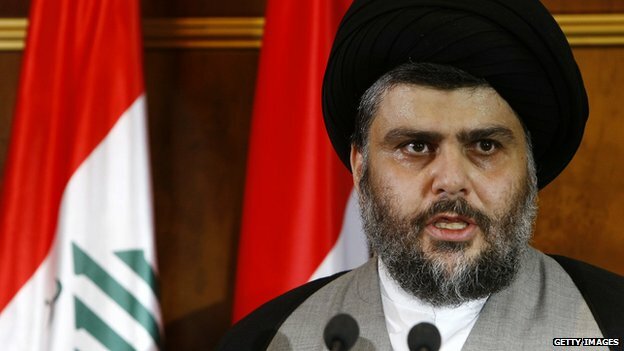 But the 40-year-old lost ground in recent years following a dispute with Prime Minister Nouri al-Maliki. Mr Maliki is seeking re-election in the parliamentary election in April – a move publicly opposed by Mr Sadr’s bloc. Mr Sadr’s statement said he was shutting down all his offices except for some charities. Born into a religious Shia family, the cleric galvanised anti-US sentiment in sermons and public interviews after the overthrow of Saddam Hussein eleven years ago. Mr Sadr’s followers clashed repeatedly with US forces, whose withdrawal the cleric consistently demanded. An arrest warrant was issued for Mr Sadr in 2004 in connection with the murder of a rival cleric. His militia was also blamed for the abduction, torture and killing of thousands of Sunnis in the sectarian carnage of 2006 and 2007. Mr Sadr fled to Iran during that period. In 2008, his Mehdi Army militia clashed with the Iraqi army, commanded by Prime Minister Maliki. Many were arrested, and Mr Sadr’s group said it was laying down arms and disbanding. The cleric later made a truce with Prime Minister Maliki and helped him to secure a second term in office in 2010. The Sadr bloc became closely involved in the new government and obtained several ministerial posts following the election. In 2011, Mr Sadr returned from his self-imposed exile to Iraq, taking a more conciliatory tone and calling for Iraqi unity and peace.